The whole reason I went to Christchurch was to take the TranzAlpine Train across the middle of the south island. I didn't hear about this incredible train until I met Viktor (typical). Viktor and I got up early and had the YMCA Hostel call us a taxi to get to the rail station. When we made our reservations, we requested to be seated on the right side of the train. 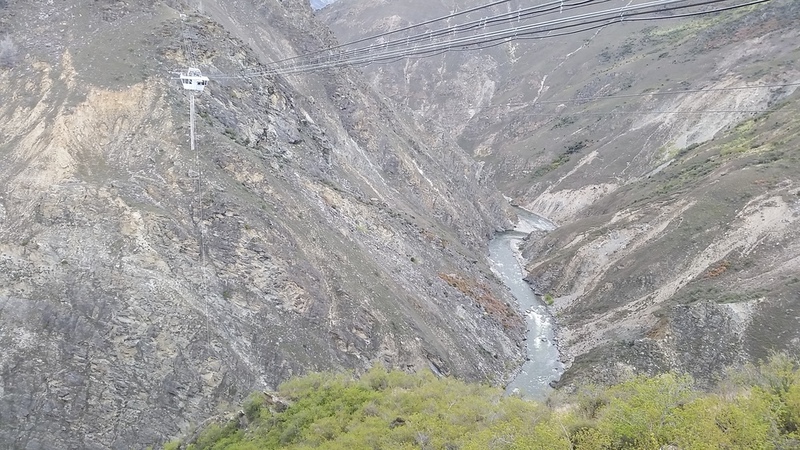 My mom, an avid TripAdvisor searcher, found a comment saying that if you sit on the right side of the train when going from Christchurch to Greymouth and the left side of the train when going the other way, you don't even have to leave your seat to get the best views. Let's just say, even though I took Mama Max's advice (thanks, Mom), I was on the windowless observation deck 60% of the time. We passed a couple little "villages" that only had a few cottages like this one. This was the whole village excluding the small train station. The whole price of the TranzAlpine Train was about NZ$140. It is a bit pricey just for transportation. However, I've come to find that transportation, whether it's by bus or train, is also an excursion. The views you get by traveling on the ground in this country are incredible, especially on the south island. Don't just fly. 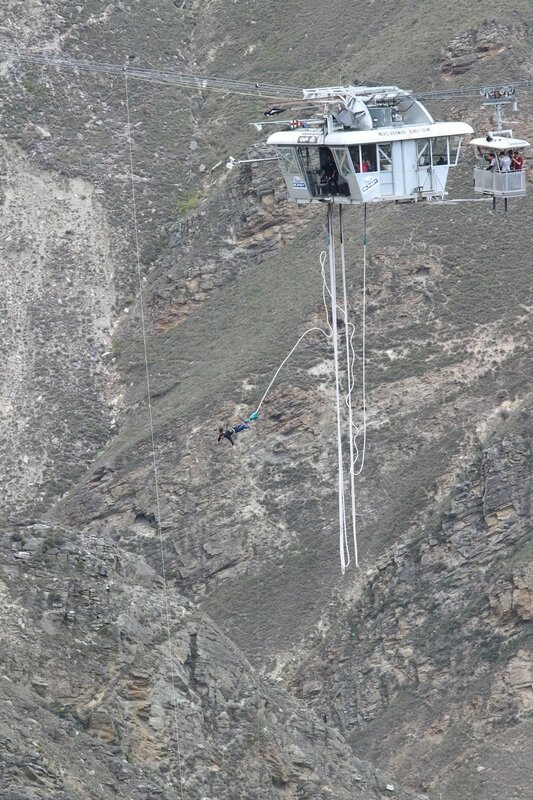 Take 2 short months out of your life and really experience New Zealand. Rent a car or campervan! Buy an Intercity Flexi Pass! 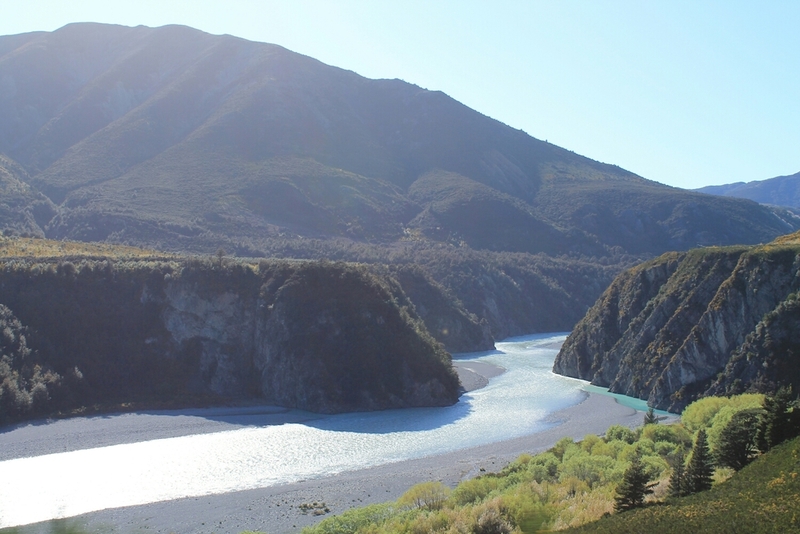 Take the TranzAlpine Train! Anything that'll keep you on the ground while exploring. I left early morning on Friday 10/9 to get a bus up to Marahau to start the trek. I left most of my stuff at the hostel (I was coming back in a few days) but I was able to pack everything I needed in my big backpack. Along with my clothes and food that would last me a few days, my tent and sleeping bag fit inside my backpack. I had to strap the sleeping mat to the outisde of my bag. I brought almost all of my warm clothes because I knew it was going to be cold at night. Each day I decided to wear 3/4 length leggings with a tank top and my chambray shirt to protect me from the sun and sandflies as much as possible. On the first day we walked 16 miles along the coast of the north part of the south island. We started our walk at around 9:45am and arrived at our campsite, Bark Bay, at 5:30pm. It was a gorgeous, but tough, hike. I was probably carrying about 35-40 pounds on my back. On the first day, there were a few big hills, but the trek was mainly up in the mountains; it didn't go down to sea level often. For lunch, we took a 20 minute detour to Cleopatra's Pool. It looked so pristine and untouched. 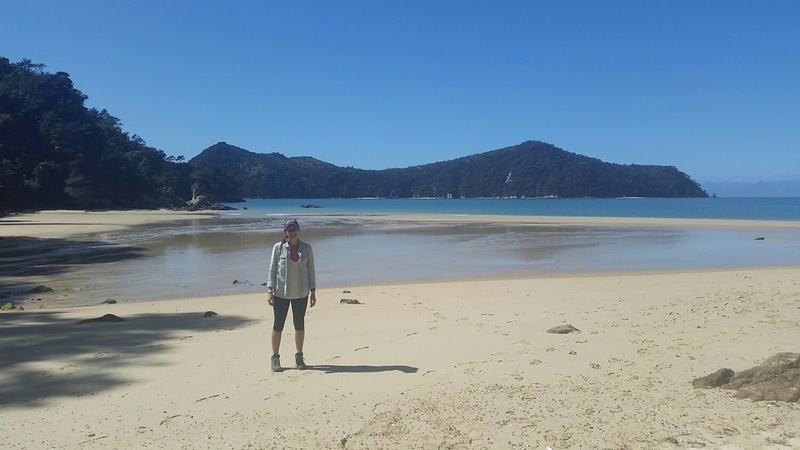 Even though the Abel Tasman Coastal Trek is the most popular overnight trek in New Zealand, everyone here respects it so much. You won't find any trash cans along the way, for example, you have to take all your 'rubbish' with you. When we got to the pool, there were a bunch of high school boys playing in the water. The water was much too cold for me so I just watched and soaked my sore feet. The water flowed from upstream down a big rock face and made a slide right underneath. All the kids were going down it. I happily watched them play and shiver as I warmly ate my chicken and vegetable pie on a big rock. The rest of the trek was just as beautiful. There were these huge ferns that looked like palm trees that made the forest look like a tropical wilderness. A couple times we walked down to the beach and through caves to take a short, interesting detour break. We passed a town that, I'm pretty sure, is impossible to get to without a boat at high tide. I have never seen tides so dramatic than at Nelson and Abel Tasman. When the tide goes out, you can just see tens of boats standed on the water, anchors still down. It looks like a desert with big puddles here and there. You can't even see the ocean or bay. Andy and I finally arrived to Bark Bay and I immediately spotted where I was going to set up my tent. It was right next to the beach, overlooking the water. I knew that it would be the perfect position to watch the sun rise over the water the next morning. With just a little help, I put up my tent and organized myself. I changed out of my sweaty clothes and put on comfy, warm ones. The sandflies in the south island are awful and they only get worse the more south you go along the west coast. I had my ankles exposed for no longer than 7 seconds and they were torn up by the sandflies. Sandflies look like big gnats that just surround you. Before I left, I bought a can of Bushman insect/sandfly repellent--it really works! Once I sprayed that on my skin and clothes, you'd see the sandflies fly around you but never actually land on your skin. There was also a few sandflies that got in my tent and congregated into one corner. Before bed I sprayed them and was delighted to watch them die. Sorry, that was morbid. There was a dutch couple at our campsite as well as the group of boys from Cleopatra's Pool. The boys were on the trek participating in Duke of Edinburgh. Apparently, it's this program that started in the UK that looks great on a resume because it shows you can commit to something and be very resourceful. Basically, you just go on all of these outdoorsy adventures and gain degrees (bronze, silver, gold) and some important person from the UK presents your metal to you after you complete a certain number of tasks. The boys were great because they were excited to make a fire for the whole campsite. We all huddled around the campfire for a bit once it got dark before bed. The night was quite cold and quite uncomfortable. The inside of my tent was damp from the dew and I didn't have much of a pillow, but I was proud I did it. I got up the next morning around 6:30am to watch the sunrise. Then, I had some apple and peanut butter for breakfast, filled up my water bottles with the treated water, and packed up all of my stuff for the next leg of my trek. 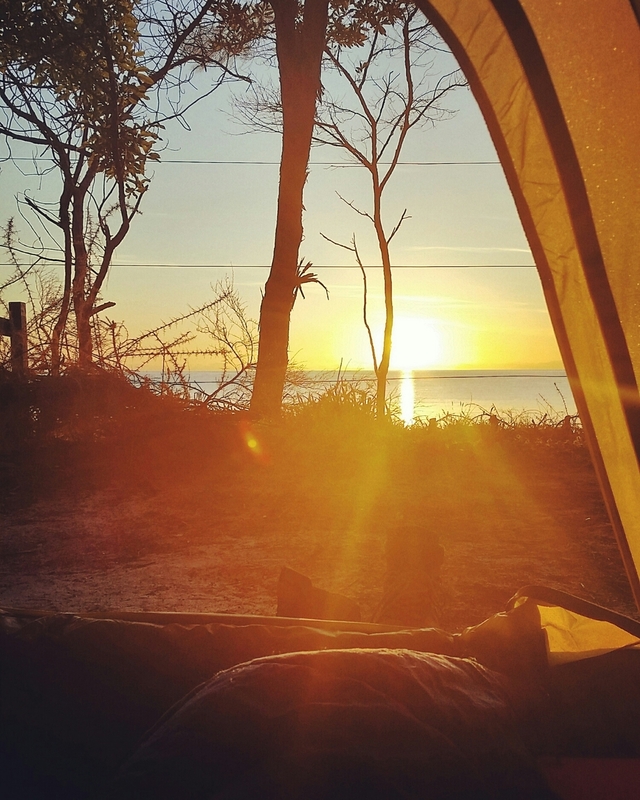 View of the sunrise over the bay from my tent. Andy slept in his hammock which was much more comfortable than the ground. I was thinking about getting one but a hammock would have been much more expensive than the gear I bought. Brave dutch couple who took a morning dip. A few parts of my hike on day 2 wad walking along the sandy shorelines. Of course I had to take off my boots and stretch out my sore feet. On day 2, Andy and I walked another 16 miles to Totaranui. This trek was much more diverse and steep. For a bit we walked along or on the beach then we would hike up the mountains and walk along the cliff looking over the ocean. Then, of course, we'd make more treks down to the beach and up in the mountains again. It would have been a moderate trek without a 40 lb backpack, but I wasn't used to carrying so much weight. Even though it was tough, we kept a good pace. We hit the Awaroa Inlet about half way to our destination. We approahed a sign that said "Lodge and Cafe This Way." What?!? We are in the wilderness. Granted, it would have taken us about an hour out of our way which we couldn't risk. You want to make sure you get to the campsite much before sunset. Actually, 6:30pm is a great time to arrive because it's still light out and there aren't many sandflies left at that time. The Awaroa Inlet is one of the most important crossings you have to time and plan correctly. There are only about 3.5 hours during the day where it is safe to cross because it is very low tide. We got there in plenty of time and decided to take a break. Andy and I grabbed a snack and took a mini nap on the dry sand that only hours before was the sea shore. Usually, I hate sand. But at this point, I was just so dirty and sweaty that it didn't even matter if I or any of my things got more dirty. Through the inlet we had to cross pools of water flowing out to sea that came up to our knees. My water shoes might have come in handy at this point because there were so many shells and crabs at our feet. It took us about 45 minutes to cross the inlet and dry ourselves off. We walked a bit more and when we hit one of our last beach stretches of the day, Andy and I decided to look for mussels since it was low tide. We found 10 or 12 and carried them to our next campsite, Totaranui, where we could let them soak in fresh water for a couple hours. Andy and I set up our site and had some dinner. Hummus, peanut butter and crackers for me! Then later that night the boys from Duke of Edinburgh and Andy got lots of driftwood from the beach (and two huge logs for us to sit on) and made a fire. We placed the mussels on a 2x4 over the fire to cook them. Some we just put in the embers. The ones that opened we ate and they were delicious! They also had a smokey flavor that you don't normally find. On day 3 I had my water taxi booked to take me from Totaranui back to Marahau at 3:15pm. We were planning on doing a small loop trek but I had a couple blisters and we were more in the mood for a beach day. After watching the sunrise, I lie on the beach all day. It was glorious. The Dutch couple joined us. The girl had an internship in Hamilton (which she advised me not to go to because it's so boring) and her boyfriend was visiting for a few weeks. Andy was planning to just hike a bit further that day and hitchhike down the coast but we could see very few roads on the map. He decided to go on the water taxi instead. Our water taxi showed up and took us around to some seal colonies. It was such service! Our water taxi driver pulled right up to shore on the trailer of a tractor then got off the boat and drove the tractor, with us still in the boat attached, all the way up to a cafe in town. I was craving so many different kinds of foods so I bought sea salt and vinegar chips and a Snickers bar. We got the bus back to Nelson and it dropped me right off at Paradiso, my hostel. Andy got dropped off in town so he could get a Burger King burger, which he was craving. That night I met Viktor. We found out we were flying out of Queenstown the same day. I really didn't plan my route (I've rarely planned things on this trip) but Viktor had basically the next couple weeks all planned day by day. I wrote down his route and decided to go for it. I figured, I only have a short amount of time left and I want to see so much. By this point, I'm going to have to plan a little bit (or, at least, let Viktor plan for me). Thanks, V!